When comparing child care options for your child, you may have some questions about the differences between a Montessori preschool and a traditional daycare. Every classroom is unique, even within the same educational system. However, there are some major differences between Montessori and traditional systems. In a traditional daycare system, a child usually stays in the facility until they turn five years old and can then enter kindergarten, where they begin to really focus on important concepts such as reading, writing, and mathematics. In a Montessori education system, children will begin their academic career at around age three. This means that children in Montessori schools have an additional two years to learn and develop the skills necessary for them to do well in school later in life. Montessori children usually remain with the same teacher for multiple years. This extended period of time allows them to bond with their teacher and gives the teacher the ability to develop and implement an individualized teaching plan for each child in their classroom. Traditional daycares focus on structure, and the caretakers are the ones who determine the activities that all of the kids do each day. Montessori classrooms, however, allow for flexibility when it comes to the individual needs of a child. There is an emphasis on each child being able to work and move at their own pace, learn freely through activities, and collaborate with others. If a child wants to work on one activity for an extended period of time, the child has that option. This gives each child the opportunity to learn at their own pace until they fully understand a topic. The primary goal of a daycare is to introduce basic educational topics and entertain a child while her parents are at work. 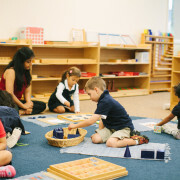 Montessori preschools, however, work to develop a well-rounded, well-educated, and successful individual. 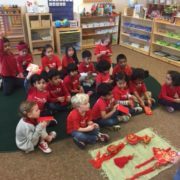 Montessori students develop social skills through life habits and learning principles taught early-on, as well as through collaboration and group work. Older students are commonly given the opportunity to mentor younger students, which teaches cooperation, altruism, and leadership. Traditional daycares usually rely on instructor-directed discipline to function, but in Montessori education, children are free to move around the classroom, exploring and learning through a variety of activities. This freedom allows children to learn through interaction in their stimulating environment. As children grow older, this emphasis helps develop a deep love of learning, instead of the repetitive memorization of facts and concepts. As they grow and mature, every child will learn differently and be shaped by their educational experiences. Choosing a Montessori school for your child will no doubt be beneficial for both their development and their future. Today we are looking back at a series that we posted back in the summer, Practical Life. Through the exercises of Practical Life, the child learns the skills that enable him to become an independent being. From birth, the child is striving for independence and concerned adults, parents, and teachers should help him on his path by showing him the skills he needs to achieve this end. Having been shown a skill, the child then needs freedom to practice and perfect. In a Montessori classroom, preschool children learn basic motor skills in the Practical Life areas by teaching themselves and learning from other children rather than by specific adult instruction. As the child becomes absorbed in an interesting activity, he develops concentration. If the activity is appropriate and meets a need, it will be interesting for the child. The longer the child is absorbed by an activity the better for the development of concentration. 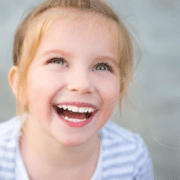 Through activity, the child learns to control his movements. 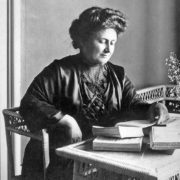 The idea that the path to intellectual development occurs through the hands is a major theme in the Montessori Method. The exercises of Practical Life provide opportunities for the development of both gross motor and fine motor movements. 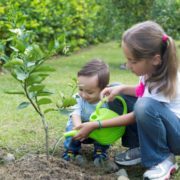 In addition, the child learns to keep the environment in a clean and ordered way, putting everything away in its right place. He is taught to approach each new task in an ordered way, to carry it out carefully, to complete the activity, and finally, how to clean up and put the materials away. Engaging in this complete process encourages logical thinking. 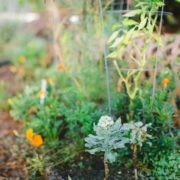 Another great post on Practical Life can be found here as well.